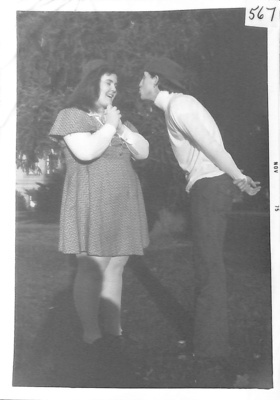 Theatre: "You're a Good Man, Charlie Brown"
Theatre: "You're a Good Man, Charlie Brown" '76 L'Ami p.61, Male actor purses lips at female actress, Nov. 1975, 1. ? 2. Ken Pruitt.